The cold winter weather is leaving and the temperatures are rising ready to make way for spring. I hope you enjoyed the Sakura season. I sure did. I enjoyed hanami in Komazawa Park and along Meguro River. 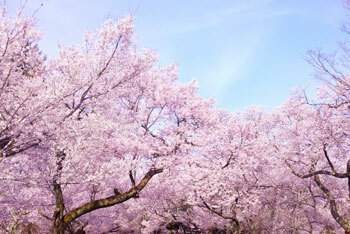 The cherry blossoms really were a lovely sight. Being a summer person myself, I`m glad the warmth of spring has finally arrived. However there is one exception, and that`s hay fever. Recently it seems my eyes are always itchy and my nose is constantly runny. It seems that year by year my tolerance for Japanese pollen decreases. I can`t wait for summer! Now is a great time to make plans for summer and of course Golden Week is fast approaching. What are your plans? I haven`t made any plans for Golden Week although I do have friends living in different parts of Japan that I would like to catch up with. Perhaps I will take a trip to Kyushu or the Kansai region. With summer time only a few months away, now is as good a time as any to get into the gym and get back into shape. I plan to visit the beach come summer time and still have a few extra pounds I gained during the Christmas season that I wish to lose. I wish you a happy spring and continued success with your English studies.